Unlimited life propeller blades solve a common problem. Let’s say you’ve got a propeller in which you’ve invested thousands of dollars, and now it’s time for another overhaul. Every time you take in your propeller for the overhaul process of disassembly, inspection, and refurbishing you dread the call that comes in telling you that this is the last time you can safely overhaul the propeller. By the third overhaul, many metal blades go scrap due to reaching minimum dimensional limits. That’s why Hartzell created unlimited life propeller blades. While overhaul remains a necessary part of the maintenance of your aircraft, unlimited life propeller blades can endure multiple overhauls while maintaining optimum safety and performance. “Unlike metal or wooden blades,” says Hartzell Technical Representative Kevin Ryan, “they can be returned to their factory dimensions over and over again, and they are surprisingly easy to repair.” So though composite blades may require a higher upfront investment than other types of propeller blades, in the long haul they become a better value for an aircraft owner. Rather than grinding away surface blemishes and permanently removing material during overhaul, composite blades are repaired by removing damage, then adding material back into the blade. Even significant damage like gouges or nicks in the blade can be corrected this way. According to Ryan, minor damage that falls within the airworthy damage limits for a particular blade can be safely repaired by a typical propeller shop. Anything more than that will require the expertise of a shop trained and certified by Hartzell in composite blade major repair. Hartzell certified its first structural composite unlimited life propeller blades in 1978 (Casa 212). These blades are constructed using a combination of aerospace grade carbon fiber and Kevlar with a stainless steel or titanium shank and a nickel cobalt leading edge. 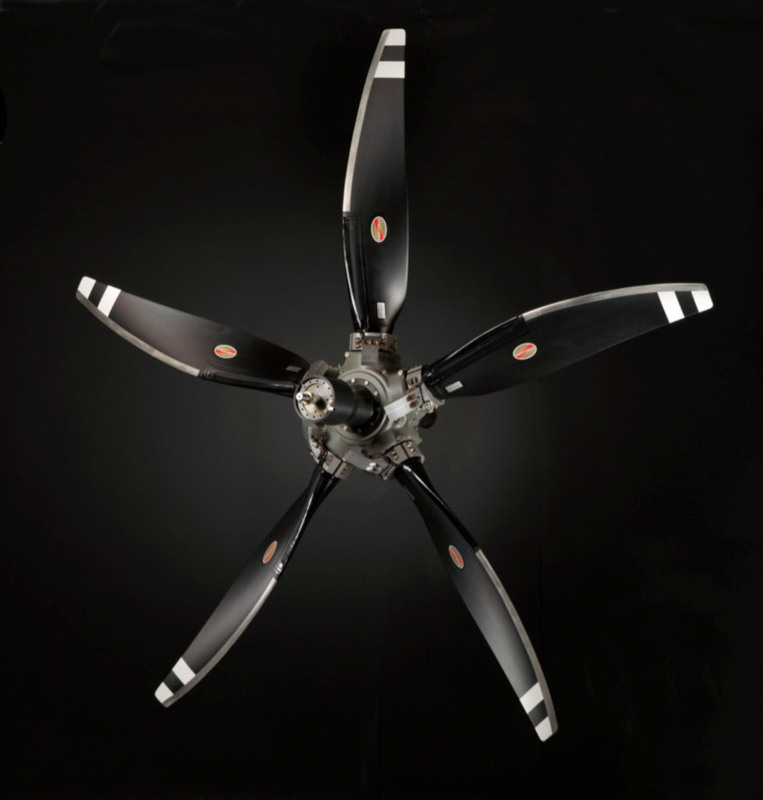 Hartzell developed and certified the Next Generation ASC-II carbon fiber propeller with unlimited life blades in 2006. Since 2006, Hartzell has certified an additional 10 blade designs, and has now certified a total of 20 unlimited life propeller blades using both the legacy carbon/Kevlar process and the Next Generation ASC-II method. Many Hartzell structural composite blades are still flying with over 50,000 flight hours logged, most notably on 1900D and 1900C regional turboprop aircraft.